Currently on a one-to-two month wait on the Apple Web Store, this beautiful MICHAEL Michael Kors Travel Tote is such an exciting addition and very high up on my list of recommended Fashion + Technology pieces. Handcrafted from fine-quality, full-grain leather, this tote is ready for work, school or whatever purpose you need all of your essentials and technology with you. This Kors Travel Tote is an Apple Store exclusive, available in-store or online. Shown above, this tote is perfect for the new MacBook Pro with Retina Display! Though large enough to fit all of your office essentials, this bag is also slim in its profile. The 8" strap drop is perfect to have under your arm and yet still feel comfortable while carrying around all that you may tote. Each of the compartments are easily accessible and the laptop compartment has a zipper to ensure safety of your Apple technology. This Kors tote is truly all-in-one with its premier designer style, technology protection, and general sturdiness and good craftsmanship. Shown from a vertical angle, the bag is very spacious and has special compartments just for your MacBook (that is padded and fits all Airs and Pros up to 15"), iPad with SmartCover, and iPhone. It may not seem like it from the photo here, but the tote is remarkably large. While not obtrusively large like a luggage tote, the bag is perfect for all of your work folders, notebooks and planner, plus your essentials. The bag seems incredibly sturdy, and I'm sure I will be able to put it through its paces with everything I carry. I'm one of those always-be-prepared, bag-full types. 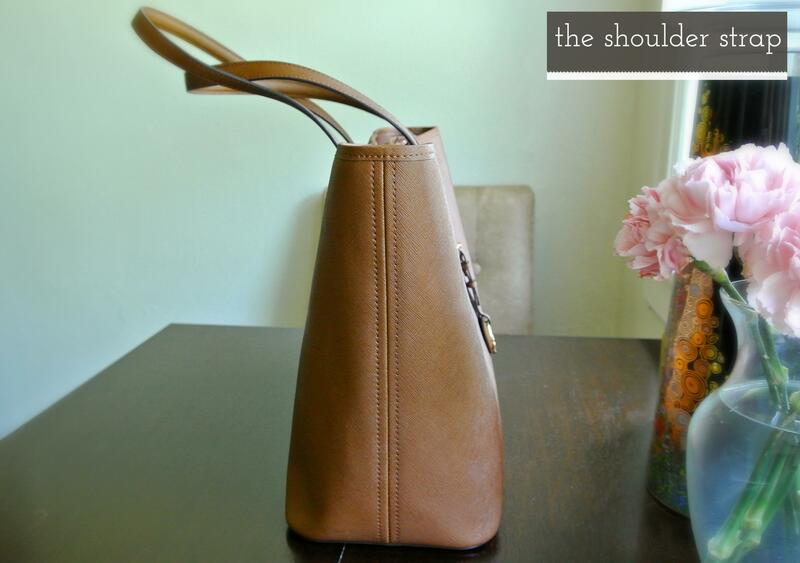 I don't know what I'd do without totes or hobo-style bags! 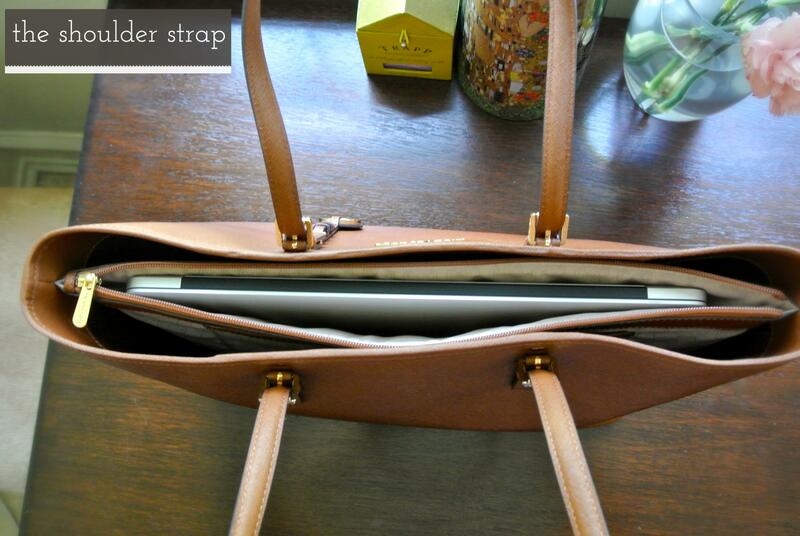 If you desire this practical and gorgeous bag, be sure to check out your local Apple Store. Who knows; you might find it on the shelf!